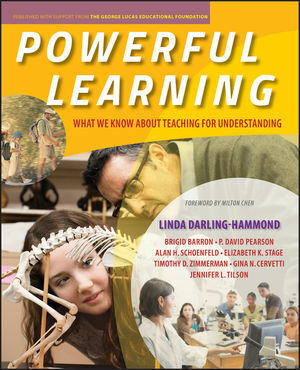 In Powerful Learning, Linda Darling-Hammond and an impressive list of co-authors offer a clear, comprehensive, and engaging exploration of the most effective classroom practices. They review, in practical terms, teaching strategies that generate meaningful K–2 student understanding, and occur both within the classroom walls and beyond. 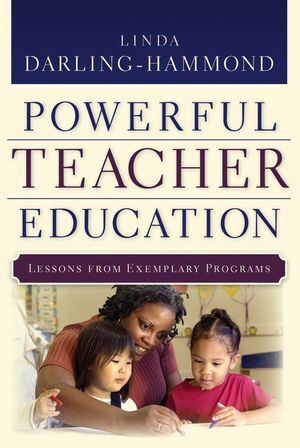 The book includes rich stories, as well as online videos of innovative classrooms and schools, that show how students who are taught well are able to think critically, employ flexible problem-solving, and apply learned skills and knowledge to new situations. Linda Darling-Hammond is Charles E. Ducommon Professor of Education at Stanford University, where she serves as co-director of the School Redesign Network and the Stanford Educational Leadership Institute. Her research, teaching, and policy work focus on teaching quality, school reform, and educational equity. ?Among her nearly 300 publications are the award-winning books: The Right to Learn, Teaching as the Learning Profession, and Preparing Teachers for a Changing World. Brigid Barron is an Associate Professor of Education at Stanford University. P. David Pearson is Dean of the Graduate School of Education and a Professor in the area of Language and Literacy?at the University of California, Berkeley. Alan Schoenfeld is the Elizabeth and Edward Conner Professor of Education at the University of California, Berkeley. Elizabeth Stage is the director of the Lawrence Hall of Science, the University of California, Berkeley's public science center. Timothy Zimmerman is an academic researcher at the University of California, Berkeley's Lawrence Hall of Science. The George Lucas Educational Foundation (GLEF) is a nonprofit foundation that gathers and disseminates?information on K-12 teaching and learning in the Digital Age. The foundation publishes stories of innovative teaching and learning through a variety of media — a magazine, e-newsletters, DVDs, books, and this Web site. They are based in the San Francisco Bay Area. Influential author. 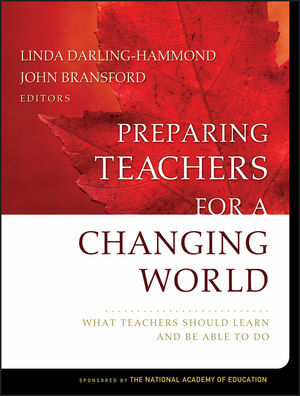 Linda Darling-Hammond is a nationally-recognized expert in education. She is currently involved in congressional briefings on improving NCLB. High-profile partner with large outreach to market. The George Lucas Educational Foundation is a major force in pushing education forward. Over 100,000 "change agents of education" subscribe to GLEF's magazine, Edutopia. Essential information. Clear, comprehensive, and succinct highlight of the most effective teaching and learning strategies to support meaningful learning. Accessible and practical. Classroom vignettes illustrate the best strategies. Authoritative content area coverage. The leading education experts in the content areas--language arts, science, and math--distill key findings in an "all-in-one" format.